Cut my shapes out of worbla. Used the heat gun to form the flat circles into rounded caps and curve the mockingjay emblems to the caps. 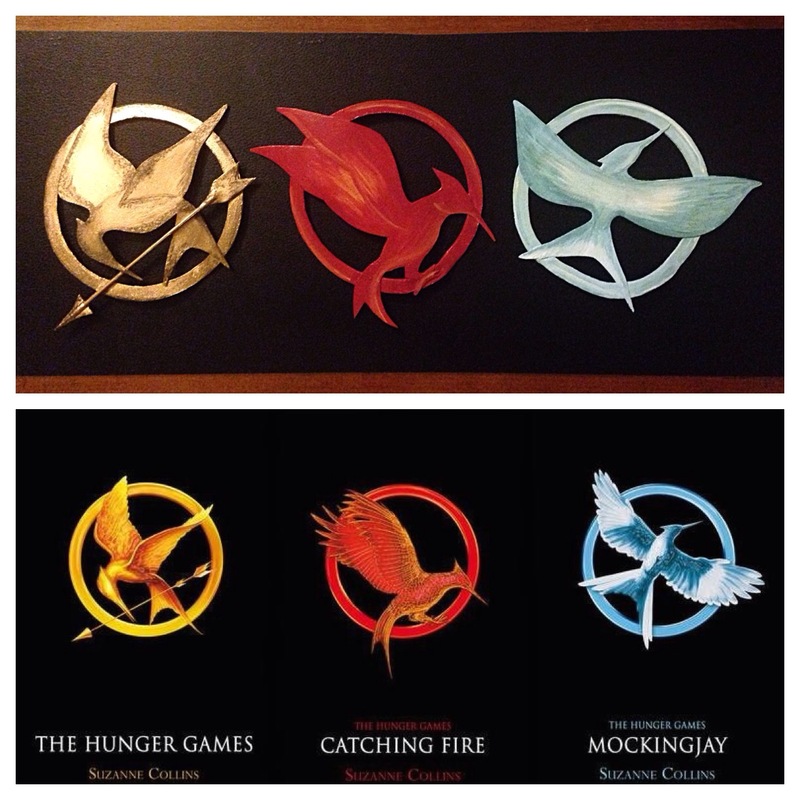 Painted my mockingjay emblems referencing each of the novel covers. Covered caps in black felt. Also painted the inside with black craft paint. Cut the corners off apprx. 18″ of netting. Used a running stitch clockwise from corner A to corner B and gathered to form a birdcage veil. 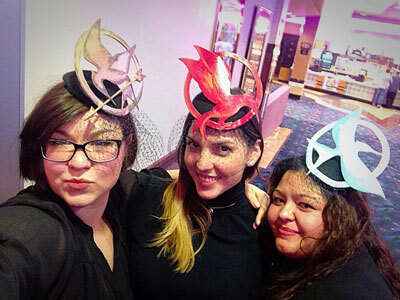 Used hot glue to assemble: Attach the mockingjay emblems to the felt caps, then attached the birdcage veil underneath and used ribbon to cover the edges, then attached alligator clips to either side. Note: You can get plain alligator clips- I just happened to have these ones, which are meant for hair accessories that can also be worn as pins, left over from another project.